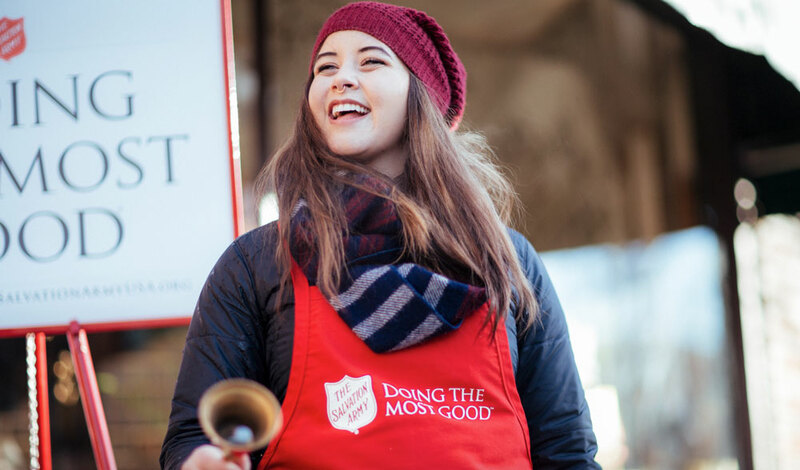 In most locations across the Midwest, the easiest way to help from early November through Christmas Eve is to ring a bell at one of our iconic red kettles. Volunteer bell ringers are the difference between an empty kettle and one that raises the funds that sustain the help we give all year long. The Salvation Army relies on money raised in red kettles to serve more than 25 million people in need each year. Find your location below for information on how to sign up to ring a bell where you live. Most shifts are two hours long, and raise enough to provide groceries for a family in need. Michael volunteers to ring a bell at a Salvation Army kettle every day from Thanksgiving through Christmas Eve. He knows that his smile and warm greeting encourage passersby to give more generously. His kettle alone raises nearly $10,000 each year to fund the programs that change lives - all because he gives his time. Bell ringing is one of many ways to give back this holiday season. Volunteer opportunities vary depending on where you live, but we always need volunteers.